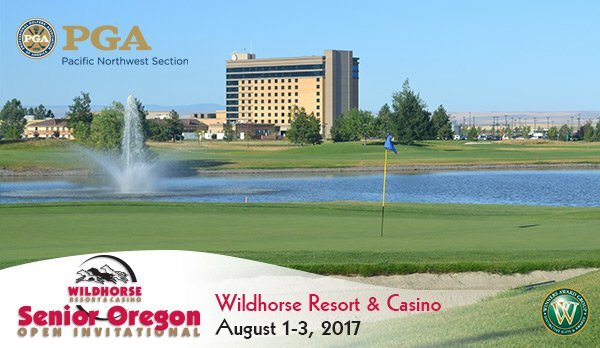 Team entries are now out for the Senior Oregon Open Invitational to be held on August 1-3, 2017. 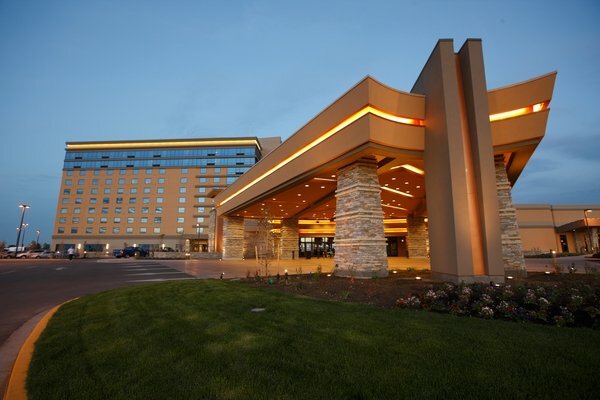 The event has returned to Wildhorse Resort & Casino in Pendleton, OR. Head PGA Professional Michael Hegarty is excited to host again for the 15th straight year. As requested, we now offer online team entries! We realize that many of you are participating in the Senior Washington Open Invitational and may not be able to get the Senior Oregon Open Invitational team entry in immediately. That’s ok and won’t hurt your chances of getting accepted! All players (see below) just need to make sure your team entry is received no later than Wednesday, June 21 at 5:00 PM to go into your respective categories. Exempt players will get accepted immediately. Everyone else will get updated on your team status on Thursday, June 22. Professionals with the same priority after “1” and “2”, by date of the latest prior year score in PNWPGA Handicap System. No category has a priority based on receipt of entry, simply meet the deadlines for your situation. Since its induction in 1996, the Senior Oregon Open has grown to be the premier senior golf tournament in the Northwest. This event draws the best players ages 50 and over from all over the Pacific Northwest Section. You must sign up as a team consisting of one PNW PGA Professional and three amateurs. CLICK HERE to view past champions of the Senior Oregon Open Invitational. Only 3.5 hours from Portland, and just south of the northern border of Washington, Wildhorse’s location allows for players from Eastern Washington, Idaho, and Montana a great opportunity to compete with their brethren from west of the mountains. John Steidel designed Wildhorse championship golf course, which is nestled at the base of mountains and wide open terrain. The course is modeled after a traditional Scottish links-style course with plenty of bunkers and tall grass lurking to make you work a little harder than usual. Each hole is surrounded by spectacular, unobstructed vistas with gentle, rolling hills and fairway mounds reflecting the foothills of the Blue Mountains. In addition to our amazing championship, don’t forget to check out the fun to be had at the resort. Wildhorse Resort & Casino went through a major renovation a few years ago, including adding a ten story tower hotel (with the old courtyard hotel still open). There are over 300 hotel rooms available in the two hotels plus a business center, fitness center, pool, spa, new coffee shop/deli and restaurants. They also expanded their 24-hour gaming floor by over 24,000 square feet and a five screen Cineplex with two 3D screens. The resort and casino is owned and operated by the Confederated Tribes of the Umatilla Indian Reservation. Wildhorse Resort and Casino is home to over 1,200 slot machines plus all your favorite table games including roulette, craps, poker, blackjack, keno and bingo. CLICK HERE to view a list of your favorite slots.